Your slip and fall injury lawyer from Maryland will tell you that most slip and fall cases will reach a settlement. Only a very few slip and fall claims will ever go to trial. In this article, you will discover a hypothetical case which will help you better understand how a slip and fall injury claim is usually resolved in Maryland. Michael just finished his work and his back was hurting really badly. He thought massage and a day at the pool would be perfect to release the stress and body tension. Unfortunately, as the massage session ended, the complete relaxed and refreshed Michael steps on an oil stain created by spilled massage oil. As a result, Michael’s foot shoots out from under him, and he ends up hitting his head on the edge of the massage table. Michael suddenly felt a sharp pain in the neck and back. “Oh, no! I’m so sorry, I wanted to clean the oil stains before you got up!” said the masseuse. Even though Michael did not suffer an injury due to a Maryland slip and fall accident on snow, but on oil, he contacted his injury attorney, who advised Michael to get checked by a doctor. The pain was radiating down his arm and around his shoulder blade. At the ER, the X-rays showed that Michael had no fractures, but the MRI revealed a herniated cervical disc. The doctor on call prescribes a series of painkillers, anti-inflammatories, and muscle relaxants and referred Michael to a surgeon for further orthopedic analysis. The surgeon didn’t recommend surgery but prescribed a six-week physiotherapy to help Michael recover his strength in his back, neck, and shoulders, and to regain his range of motion. 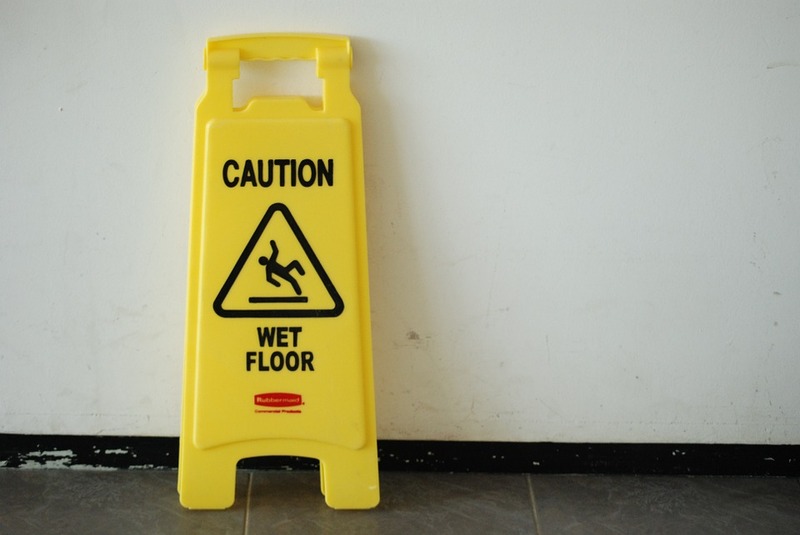 The slip and fall compensation in Maryland can increase depending on each case. In Michael’s case, due to the stiffness, side-effects and the medication side effects, he had to miss work for two weeks after the accident and he had to pay for the medical expenses and physiotherapy. With the help of his lawyer, Michael filed a slip and fall injury claim under the statute of limitation in Maryland. You should know, that once you accept the settlement offer, there is no going back. That is why Michael’s attorney waited until his condition stabilized before he submitted the demand letter to the spa’s insurance company. A few months later, the attorney sent the demand letter to the spa where the slip and fall accident occurred, describing how Michael got his injury. The demand letter explained who was responsible for the accident, but also the compensation Michael is asking for (in this case let’s say $45,000). The insurance company which works with the spa responded with a letter rejecting Michael’s demand and offering a smaller sum (let’s say $30,000). The company asserted that the herniated disc problem Michael was suffering from could not be attributed completely to his fall at the spa. Luckily, in this case, the insurance company couldn’t find a way to pin the blame for the accident on Michael (and the process was much more straightforward). In the final statement, Michael’s attorney negotiated with the insurance company and they’ve agreed on a final offer of $36,000 and after Michael accepted the offer. If Michael would’ve refused this offer, then the slip and fall injury claim would have gone to trial in Maryland.